Click under this paragraph and go to the template selector to add in a picture. London is very important for me, I was born in 1948 and I grew up in the centre of London. Although I live in Kent, with the sea at the bottom of my road, I spend as much time as possible in London. It has changed very much over the years, but fundamentally it still has the same attraction with the familiar names that I grew up with. 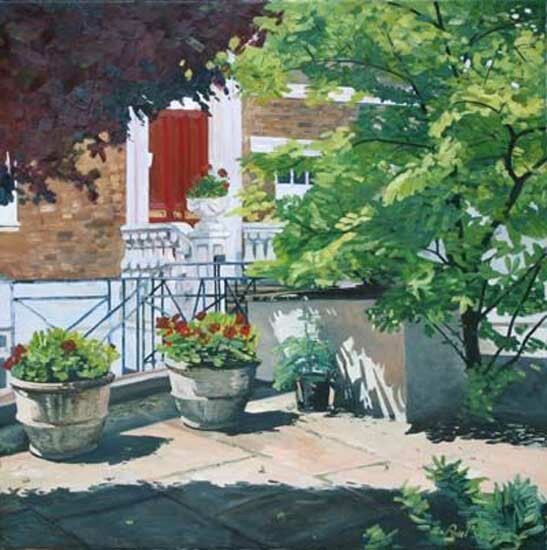 I can remember buying my first tubes of oil paint when I was about 15 year old in our local art shop in Hampstead, I thought this is really easy being an artist especially when I sold my first painting, but actually it took me many years to find my way. 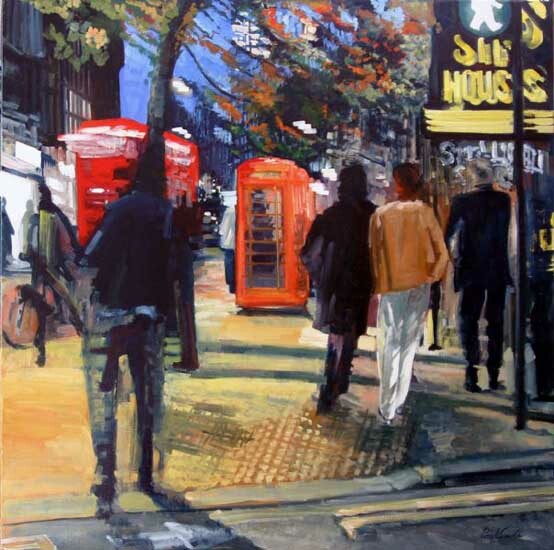 When I have a interesting, often large painting of London in my studio, it makes life really exciting and I am usually up out of bed early in the morning as I cannot wait to be at work with it again. When you see a painting you like, simply click on the thumbnail to view more information about the artwork, and click again if you would like to see an enlarged image. I look for subjects to paint that often include people to create atmosphere and a narrative. 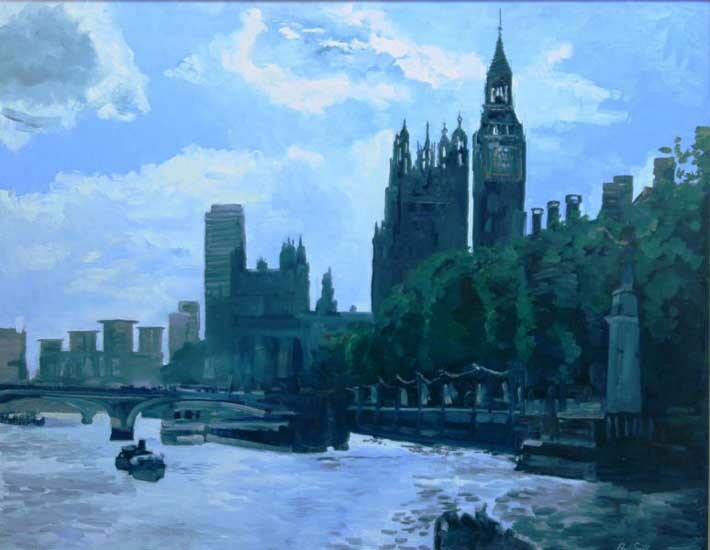 I often paint large format paintings of London, mostly from photographs and sketches I have taken, with the painting being completed in my studio. Painting details include accurate sizes, painting close up image and pricing information. Feel free to contact us with any enquiries that you may have in relation to the site or any of the paintings featured. 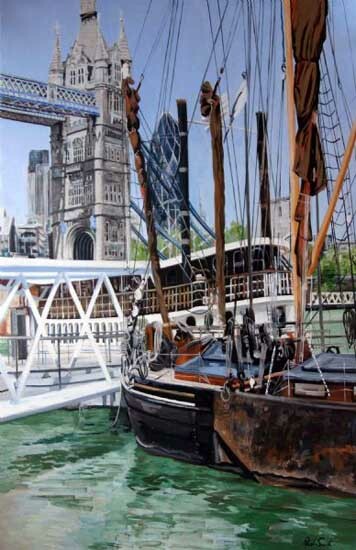 Paintings purchased are shipped worldwide, using a specialist fine art packing and airfreight shipping company.